I purchased your CD Collectorz software & love it, and have since bought Movie Collectorz Software for my 1,000 plus DVD & BluRay collection and just LOVE them both. I bought a barcode reader and it is just soooo good entering the DVDs. I haven't finished entering them all yet, but I've been wanting this kind of database for years & years. The search facility for tracks on the CD database is MAGIC. I just wanted to say that I bought the Music and Movie versions of your software. I'm finding them so easy to use that I'm thinking of purchasing the Book Collector version. Any CD on your database that doesn't have the cover artwork I'm able to get a copy from Google images 99% of the time. Just a quick "hello", and THANK YOU for what looks to be a WONDERFUL product! I've wanted to organize my collection of Early Music for some time and didn't know to turn. And with nearly 2,000 CDs, I was losing track of what I have, and where I have it! I've started entering my CDs into the database and find it's very quick and easy to use! I'm really enjoying myself, too! J'ai longuement hésité à acheter le lecteur de codes barres de Collectorz mais, ayant une discothèque de plus de 600 CD à entrer, mettre à chaque fois le CDd dans le lecteur m'a découragé rapidement à chaque fois. J'ai enfin décidé de l'acheté ... A peine arrivé, je l'installe facilement en usb, et j'essaie un CD. Une seconde, le code est lu, la recherche est lancée dans la base et mon CD apparaît à l'écran! Quelle facilité! Je sais que j'aurai toujours des petits labels qui resteront introuvables mais j'ai retrouvé l'envie d'entrer toute ma discothèque sur ordi! I actually purchased music collector and have been using it for the past week or so ! - I'm slowly but surely cataloging my CD collection. The software works very well and more than justifies my purchasing of it ! 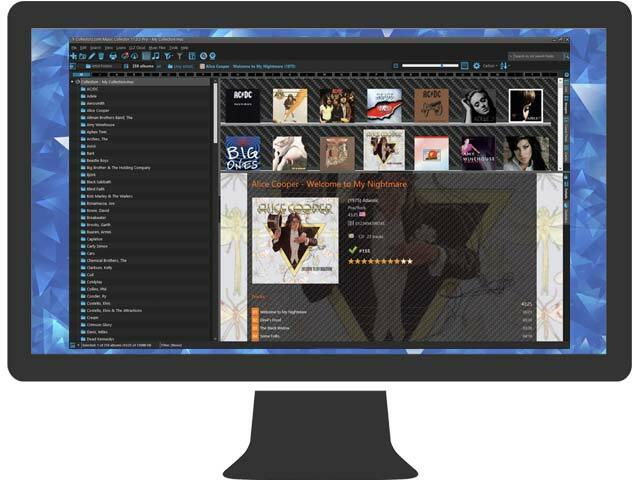 - I really never thought I'd ever be inclined to really database all my cds but your software makes this so easy. I have around 400 CD's and was keeping track of them in a database I had originally set up in Dbase IV under DOS years ago then later duplicated it under Access 97 and have been using it ever since. It was very time consuming keeping it updated. When I purchased Audiograbber I liked the CDDB feature and thought there had to be a database program to catalogue CD's that also used CDDB so I started searching and evaluating various programs. 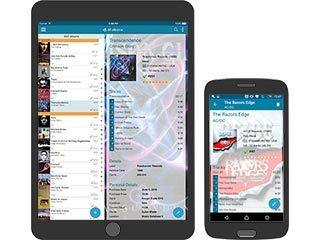 I finally settled on Music Collector earlier this year using version 4.4.3. I reached the 25 limit and decided to buy it as it did everything I required and I was extremely impressed with your work. I purchased one of your early editions of Music Collector (in fact it had a different name). I have a large music collection and thought that I could never type in all the details - of course I was not keeping up to date with all the changes you have implemented into the program. I could not believe how easy it was to scan a CD and download all details about the disc from the CDDB and then to be able to adjust some details that were not quite right quickly. I have always wanted to have a true data base of all my discs - now I will. 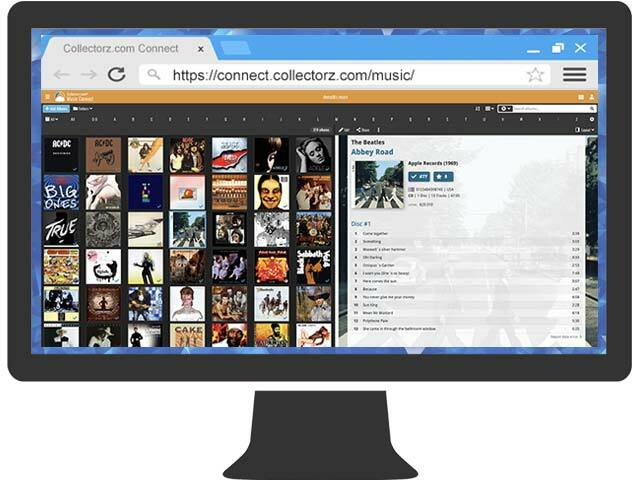 Just to let you know, I searched at Yahoo.com for "Music Collection Software" and found your site. I was so impressed with what I saw, that I downloaded the trial version before I left the site. Then, about five minutes later, after I had scanned a variety of CD's that were in my collection, I was sold on your product! I purchased the license key and began scanning my CD's right away. I have purchased other "collectors" software in the past, but nothing compares to this one, it is great! I have been in the music business for quite some time now and will be forwarding your site on to all of my friends. I have a collection of about 750 CDs and host a number of music quizzes each year. I have a lifelong, anally-retentive interest in which bass player is the cousin of so-and-so's keyboard player, and have always maintained a data-base (of sorts) of my music. As a teenager in the 70's I used a type-writer to detail track listings, personnel and the really boring bits that no-one else is interested in, such as recording studio, artwork etc. I found details of your web site in our national Sunday newspaper, the Sunday Times. Someone equally anally-retentive wrote to the computer section enquiring as to how he could document his CDs. I kept the article and contacted you from that. Hope this info is of help. I just wanted to thank you guys for this app. I have been looking for about 2 years for something that would enable me to catalog my cd's. I am a private party DJ and have around 800 cd's. Cataloging was going to be a nightmare no matter how I approached it. Spending the 25 bucks was the best investment my company has ever made. I had ALL my cd's cataloged within a week thanks to CDDB and this app. I was able to use it that weekend at a charity party I did.